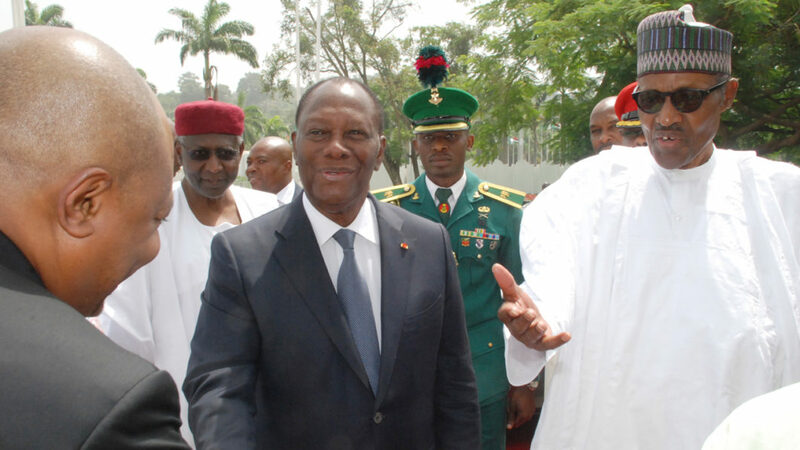 President Muhammadu Buhari on Monday met behind closed door with visiting President Alassane Quattara of Cote D’Ivoire at the Presidential Villa, Abuja. Quattara, who arrived the Presidential Villa at about 12.15 p.m., was introduced to some cabinet ministers and presidential aides by President Buhari before the commencement of their meeting. The News Agency of Nigeria (NAN) reports that the two presidents are meeting officially for the first time since the inauguration of President Buhari’s administration on May 29, 2017. Quattara, had on April 20, 2015, met with Buhari, then, as President-Elect, shortly after a meeting with former President Goodluck Jonathan.